The cabinet on Wednesday approved scrapping the quota system in government services accepting a high-level government committee recommendation for its complete abolition in recruiting first and second class officers. 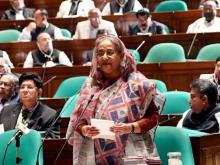 The approval was given in the weekly meeting of the cabinet held at the Prime Minister’s Office (PMO) with Prime Minister Sheikh Hasina in the chair. 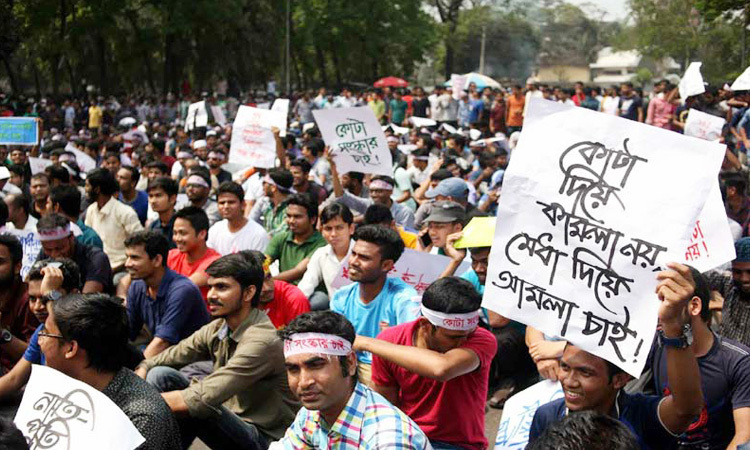 The government on July 2, 2018 constituted the committee led by the cabinet secretary against the backdrop of demonstrations by students and jobseekers demanding quota system reforms alleging that the arrangement was depriving brilliant students from getting jobs in civil services. The committee submitted the report to the government on September 17 suggesting abolition of the existing quota system in recruiting first and second class officers in government services. From now on, all recruitment from Grade-9 to Grade-13 will be “completely based on merit,” said Cabinet Secretary Md. Shafiul Alam while briefing reporters at Bangladesh Secretariat on the decisions of the cabinet. However, he said, the government from time to time may review the status of representation of the ethnic minority people in the government service and take decisions to ascertain quota for them . The cabinet also approved the draft of the Customs Act, 2018, drafts of the Gold Policy, 2018 and National Environment Policy, 2018 and proposal for amendment to an agreement with India concerning orbit frequency coordination. The Customs Act, 2018 has been made aimed at making it a modern law suiting to the international rules and customs while the Gold Policy, 2018 would allow the dealers of gold business to import gold bars and other jewelries under the legal framework. The cabinet approved the proposal for amendment to the agreement between India and Bangladesh on Orbit Frequency Coordination of South Asia Satellite. The agreement was made to set the satellite position at 97.3 degree East instead of 48 degree East. The cabinet adopted a resolution congratulating the prime minister for receiving the International Achievement Award’ from the Inter Press Service and ‘Special Recognition for Outstanding Leadership Award’ from the Global Hope Recognition Coalition during this year’s UN General Assembly session.